When testing out the national service feature, I noticed that on odd occasions, a player serving on national service can be brought out by the club before his period ends, which I definitely feel shouldn't be the case. 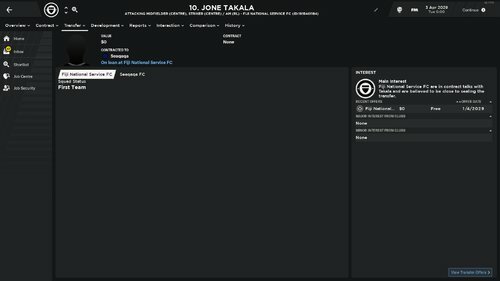 I've attached the editor file which shows that the club in the screenshot is a national service club and not an ordinary club. 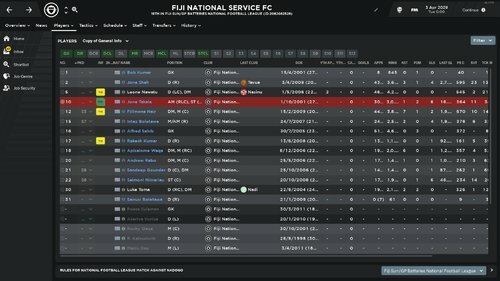 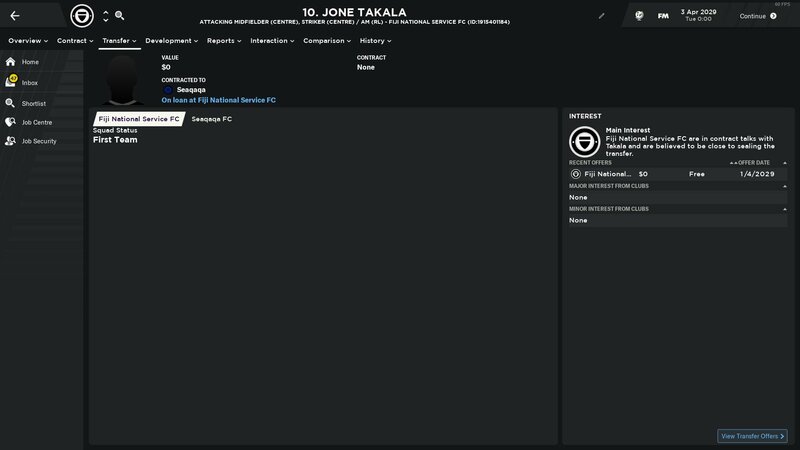 I've also uploaded my save titled "Fiji National Service Bug", which is the day before a transfer offer is made for the particular player in the screenshots.